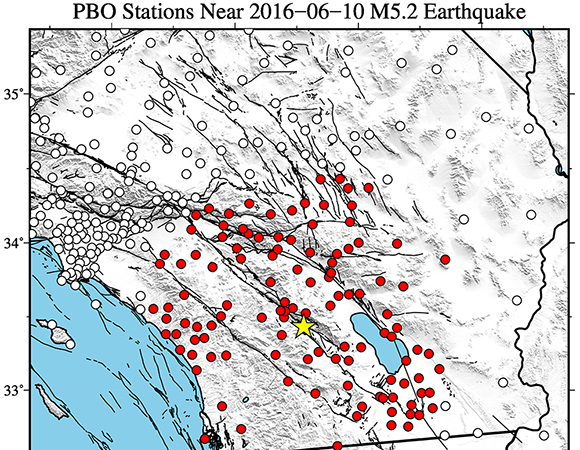 This event occurred within the San Jacinto Fault Zone, between the Elsinore Fault Zone to the west and the San Andreas Fault Zone to the east. 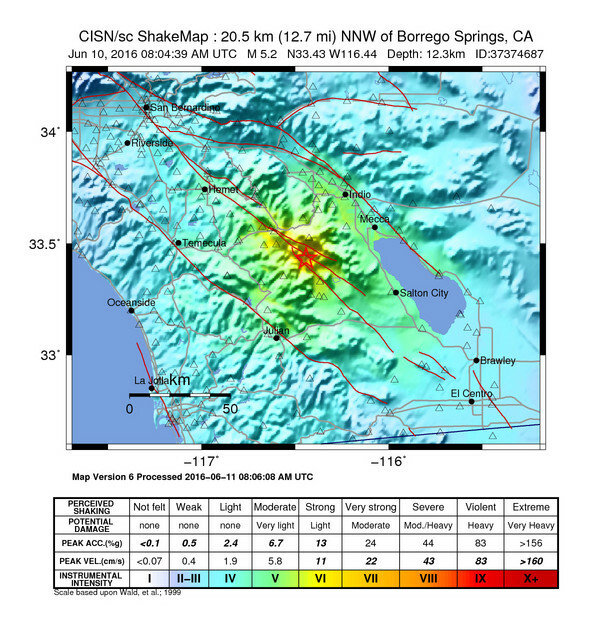 While the San Andreas marks the actual boundary between the Pacific and North American plates, the Anza-Borrego region is caught up in the wide zone accomomodating the strike-slip motion. 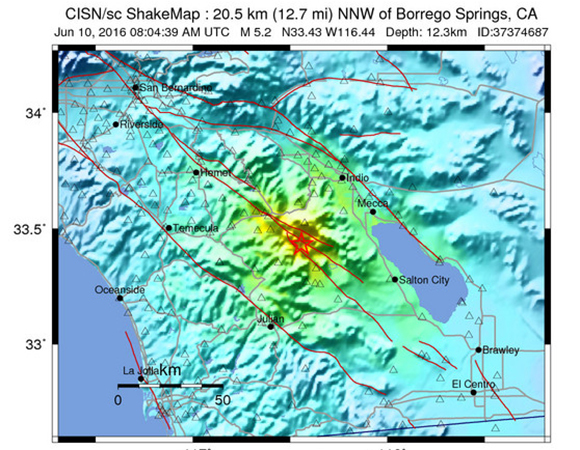 For more on Anza-Borrego tectonics, see the Anza-Borrego Desert Natural History Association tectonics page. 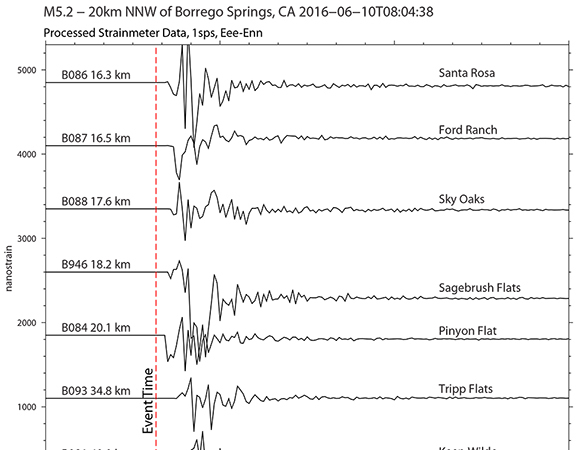 In response to the Mw 5.2 Earthquake 20km NNW of Borrego Springs, California on 2016-06-10 12:09:02 (UTC), UNAVCO is downloading high-rate five-sample-per-second (5-sps or 5 Hz) GPS data from PBO stations within 80 km of the epicenter for a 7-day period around the event (day of event ± 3 days). A map of GPS stations being downloaded is shown in Figure 2. These data will be available from ftp://data-out.unavco.org/pub/highrate. 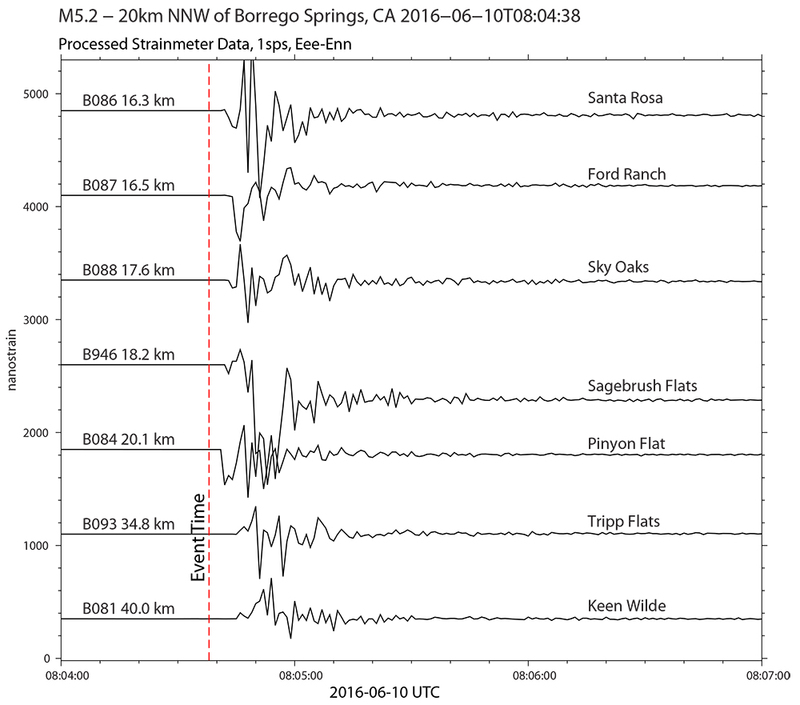 20160610_BorregoSpringsCA/, also linked from the UNAVCO borehole Geophysical Event Data page.